This website is here so my mom can see my photos. TL;DR, rented my car on Turo and paid for their “Premium” insurance option. My vehicle was damaged by a Turo renter and Turo refuses to open an insurance claim to cover the necessary repairs. 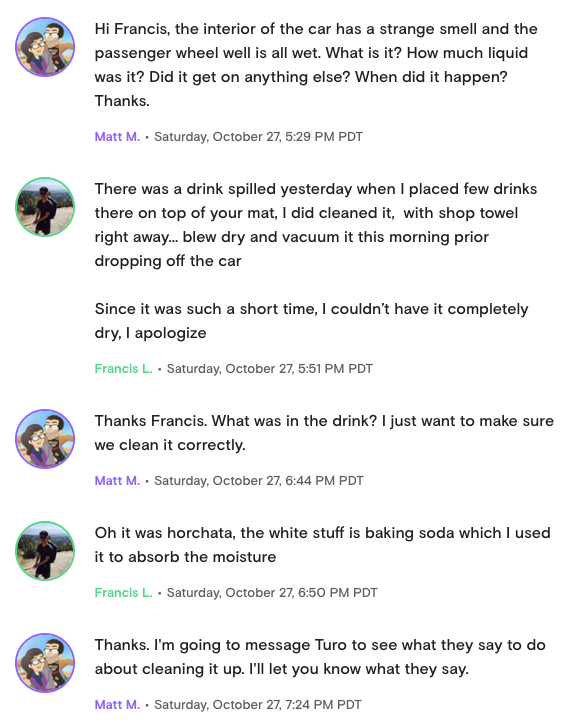 Requests to open an insurance claim with Turo are being ignored. My car smells like vomit and needs to be repaired due to Turo damage. I don’t have to drive very often and wanted a way to make a couple extra dollars with my vehicle. Turo looked like a very good option, especially with their claim of “your car is covered against theft and physical damage” from their “Trust & Safety” page. I rented my car on their platform and selected the highest level of insurance. When my car was damaged, I expected them to open an insurance claim and resolve the issue however they are ignoring those requests. Everything seemed to go well with the rental, the car was returned and the only thing I noticed amiss was an extra air freshener. The wife and I took the car out that day and immediately noticed a very strange smell. Initially we blamed it on the air freshener so we threw that away but the smell lingered. 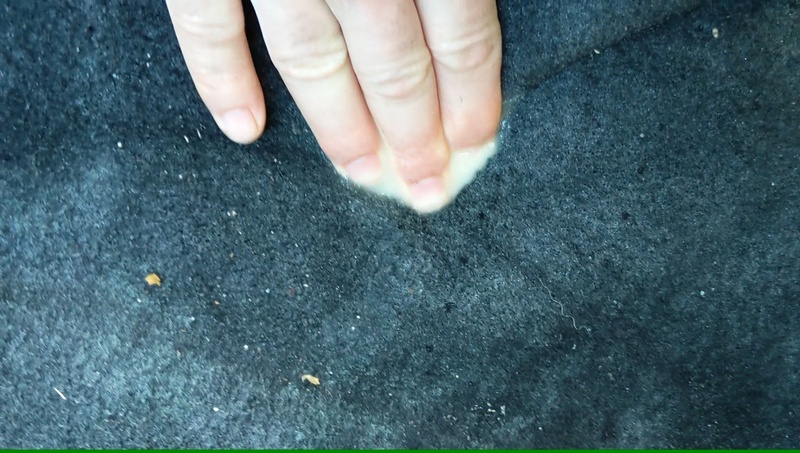 I did a more detailed inspection of the car and found the entire passenger side carpet to be soaked in a white sticky liquid. Here’s what the back looked like when pressing into it. Due to the smell & extent of the spill, I contacted several car shops in the area to get it cleaned up. Eventually found a place that could take the car in and work on it. 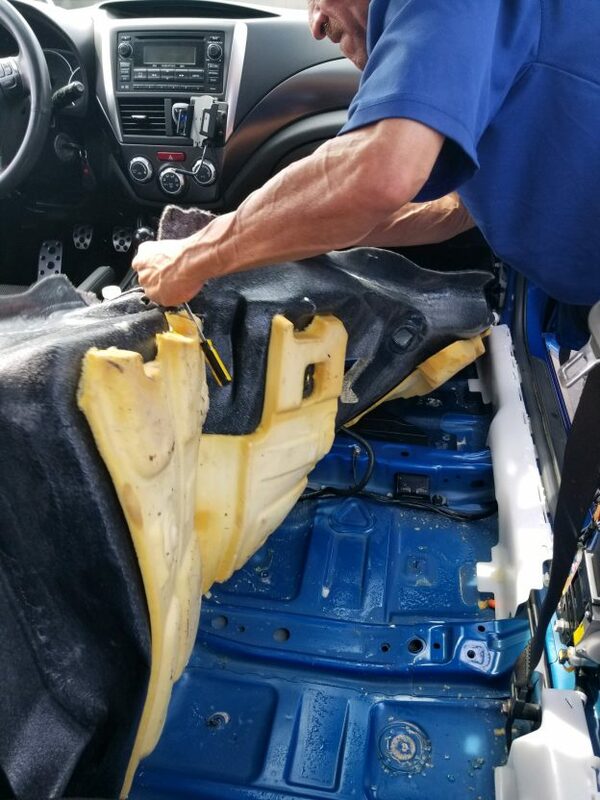 They had to completely disassemble the passenger side of the car to clean the carpet. They found extensive liquid under it. The entire process took roughly 7 hours and cost me $720 out of pocket. This entry was posted in Uncategorized on November 24, 2018 by Matt McInvale.